When it comes time to sell a house, one of the first things many people do is start thinking about improvements that could help it sell faster or at a better price. Many people opt for common jobs like new kitchen cabinets or a bathroom remodel, but a new fence can actually be a great way to help your home sell faster. When you’re thinking about how a new fence would affect the value of your home, there are a few things you need to consider. First, think about your neighborhood. Do the other homes in the area have fences? What sort of condition are they in? If your old fence sticks out like a sore thumb, or you don’t have one at all, building a fence could be an investment that pays off. Also, consider intangible benefits like higher security, increased privacy, or visual appeal. A new fence can help make up for these flaws by making your property more secure and private. And depending on the type of fence you get, you can also enhance the visual appeal of your property as well. Finally, think about the type of fence you’re installing and how it differs from other types. A vinyl fence, for instance, is more expensive than a wood fence, but it’s also much more durable and needs no maintenance. You can use this as a selling point when showing your home to help entice buyers. When you purchase a vinyl fence from Future Outdoors, you also get a limited lifetime warranty from the manufacturer. Even better, this warranty is transferable, so you can pass it along to the new owners (and use it as a benefit when you’re trying to sell as well). Vinyl fence is simply the best looking fence product on the market. A new vinyl fence will help your home stand out and make a great first impression. Plus, we offer a wide variety of styles, colors, and accents to help your fence match or complement your home. Along with being the best looking type of fence, vinyl fences are also the strongest and most durable fences available. A well-made vinyl fence will last for decades, and could very well outlast the home it’s built around. This also makes the fence appealing for new owners, since they’ll never have to worry about replacing it or doing expensive fence maintenance. If you’re interested in getting a new vinyl fence for your property, whether you’re selling or not, call Future Outdoors today at (972) 576-1600. 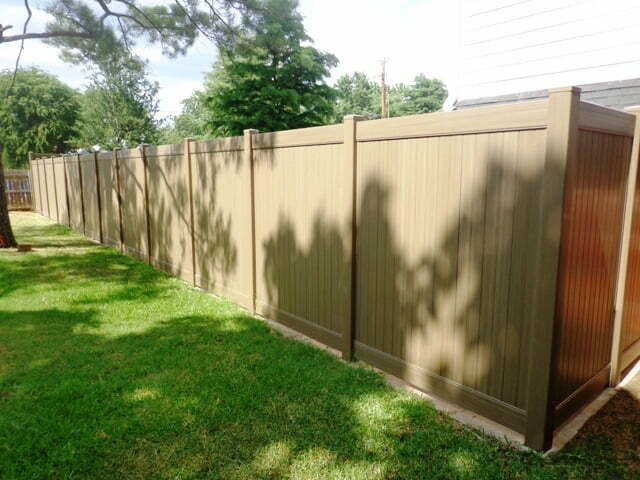 As the top vinyl fence installers in the DFW metro, we offer unmatched service and expert work. Call today for a free quote, or visit our Facebook page to see pictures, reviews, and more.